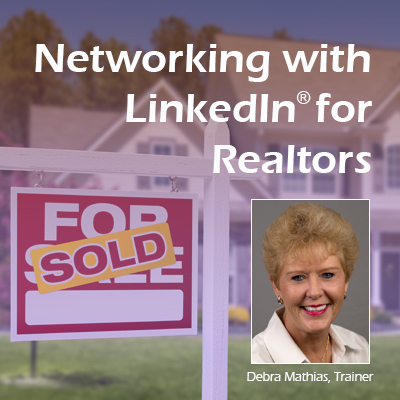 New for 2019, I am personally inviting my LinkedIn first connection REALTORS to this training session. For several years I trained at the Columbus (Ohio) Board of Realtors and the professionals that attended my class gained valuable information on how to grow, market and promote their business, and increase sales using LinkedIn. I am bringing that same valuable information plus the 2019 LinkedIn updates to The Frontier in March. I would be an honored to have you attend. Are you on LinkedIn® and don’t know what to do once you’re there? My coaching helps you to know who to connect with, why to connect, and how to make money doing it. Learn how to keep notes on your connections, organize them into groups for easy reference, market your business and make lasting relationships by networking with the groups and companies that you connect with. I've trained several realtors in the Raleigh/Triangle market who are succeeding with LinkedIn. Let me help you succeed too.